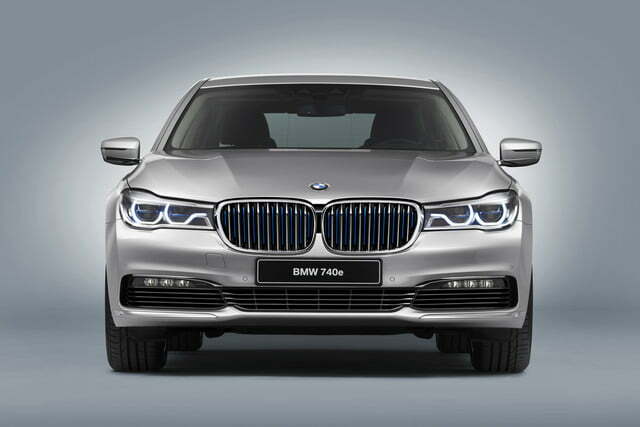 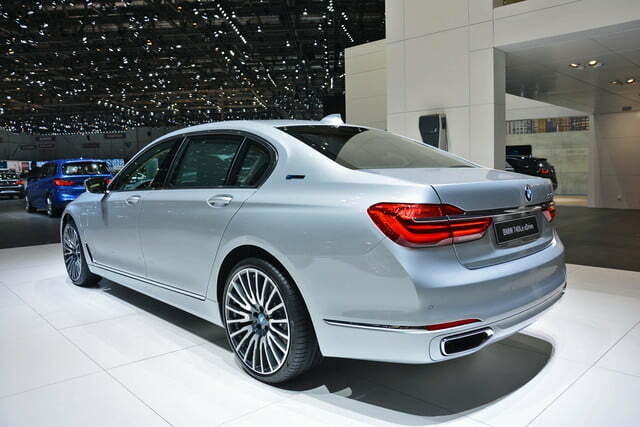 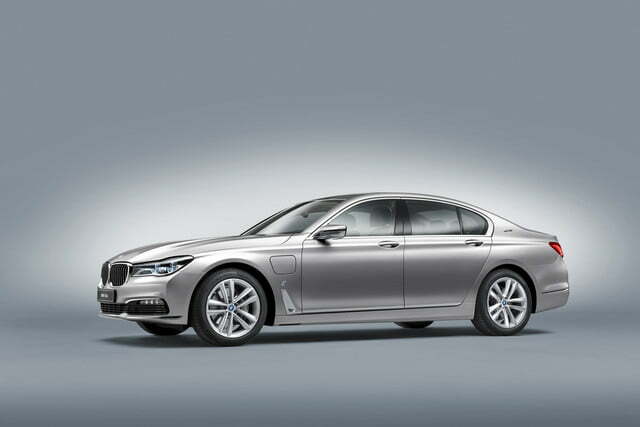 BMW has introduced an eco-friendly 7 Series powered by a state-of-the-art plug-in hybrid drivetrain. 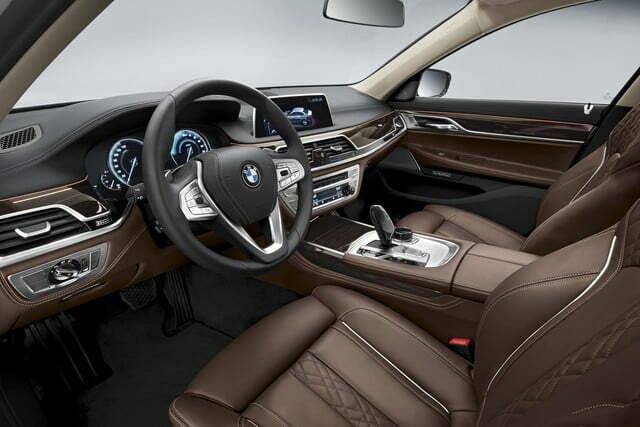 Called 740e iPerformance, BMW’s most luxurious plug-in sedan is equipped with a gasoline-electric drivetrain that consists of a turbocharged 2.0-liter four-cylinder engine rated at 258 horsepower and 295 pound-feet of torque, and a small electric motor built into the eight-speed automatic transmission that provides 113 ponies and 184 lb-ft. of instant twist. 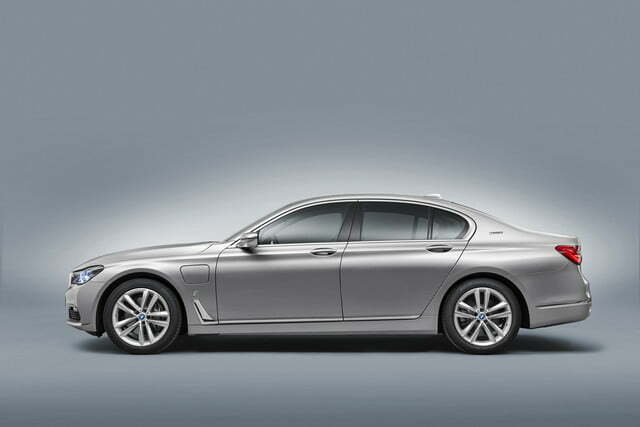 The two power sources generate a combined output of 326 hp and 369 lb-ft. of torque, which is more than the 740i’s 3.0-liter straight-six musters up. 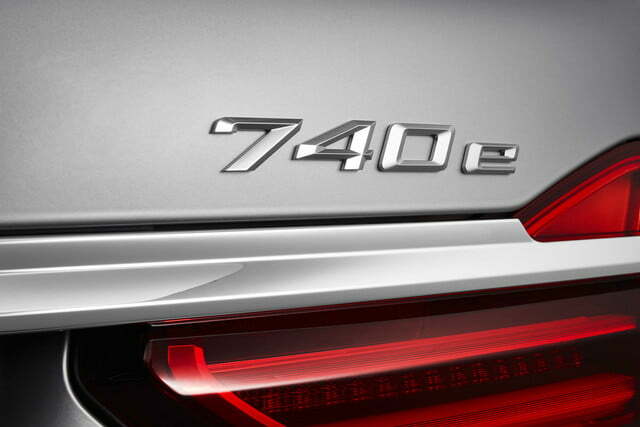 When the lithium-ion battery pack is fully charged, the electric motor can power the 740e by itself for up to 25 miles at speeds of up to 87 mph. 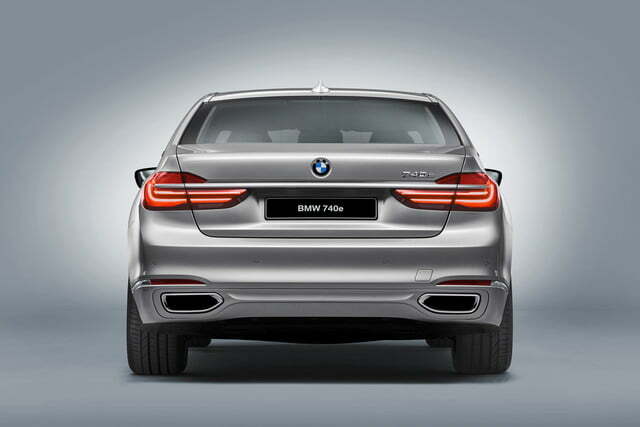 When the turbo four kicks in, the sedan reaches 62 mph from a stop in a respectable 5.6 seconds and it returns up to 112 mpg in a mixed European cycle. 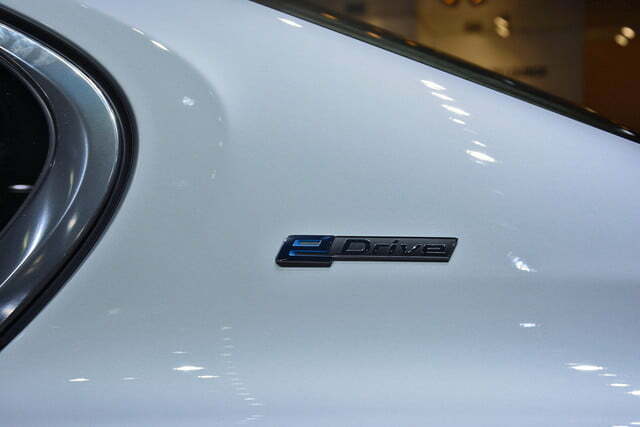 In other words, it makes the 52-mpg Toyota Prius look like a gas guzzler. 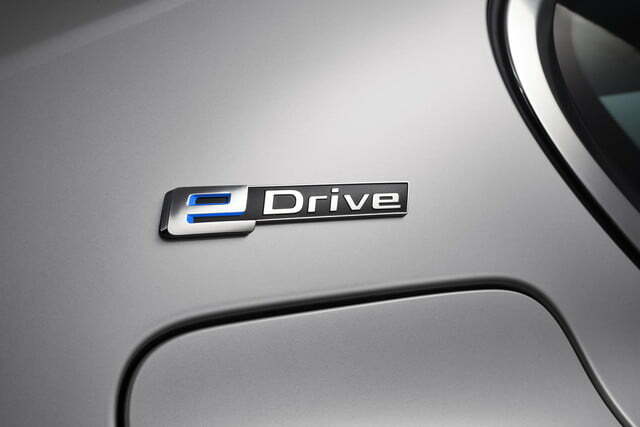 Rear-wheel drive comes standard, and a hybrid-specific variant of BMW’s xDrive all-wheel drive system is offered at an extra cost. 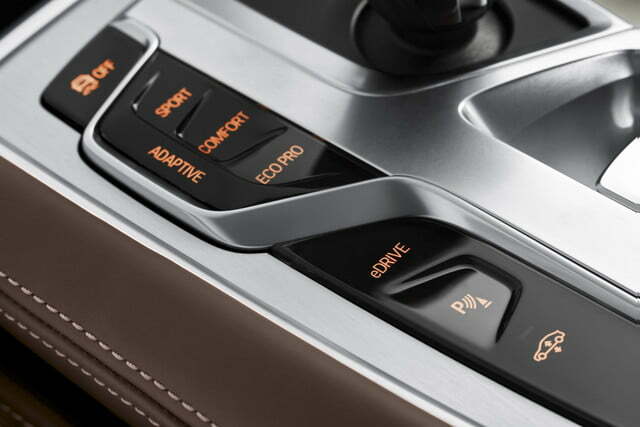 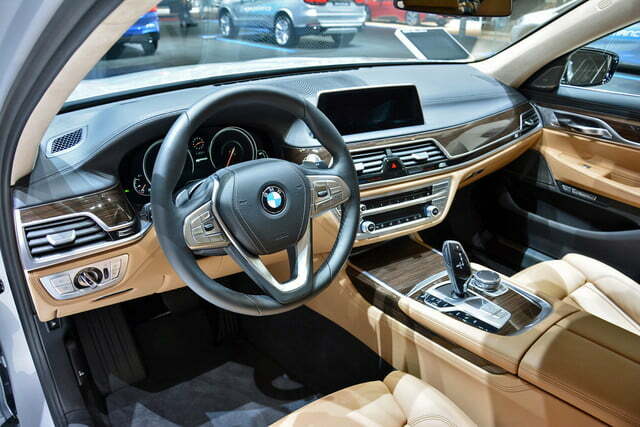 BMW has programmed into the 7 Series three basic driving modes called Eco Pro, Comfort, and Sport, respectively. 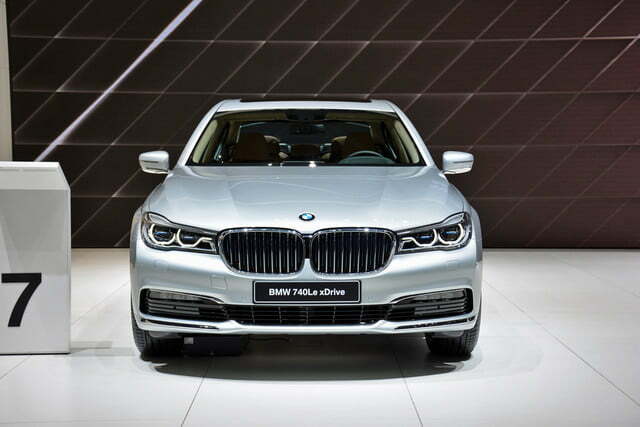 Additionally, the driver can choose to shut down the turbo four and go electric, use both power sources simultaneously, or rely exclusively on the 2.0-liter in order to save the battery’s full charge for later. 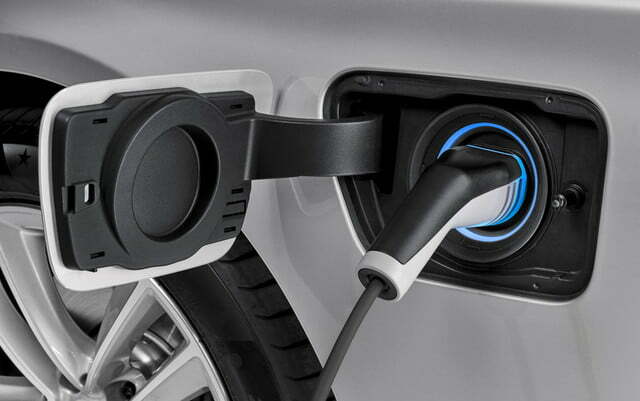 The pack can be re-charged by plugging the 7 into a household outlet or a wall box, and while driving thanks to an energy recuperation system. 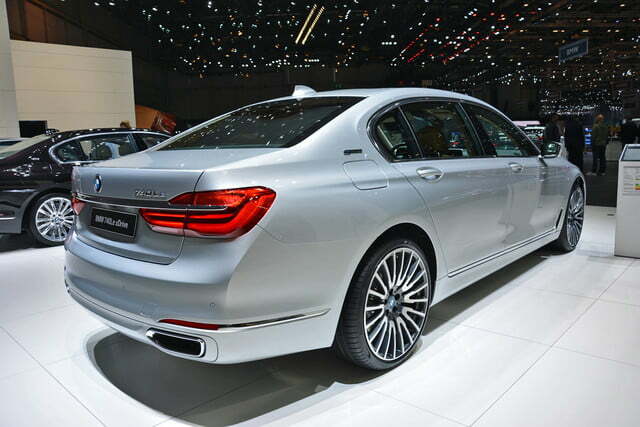 The BMW 740e iPerformance is expected to go on sale globally before the end of the year. 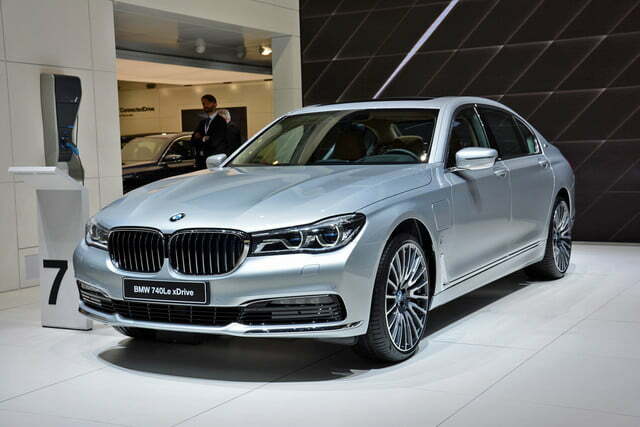 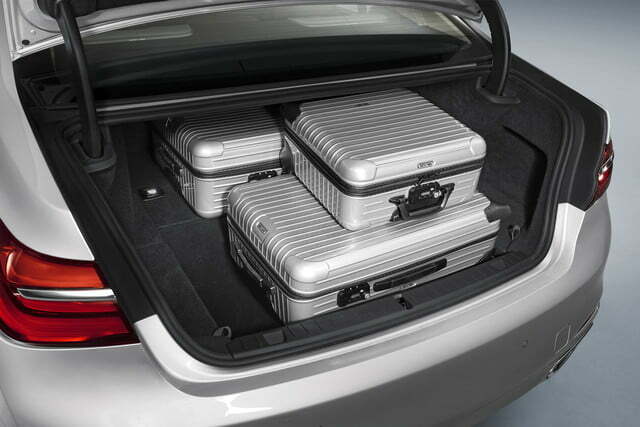 Buyers in Europe and in other overseas markets will be able to order the sedan with either a long or a short wheelbase, but BMW has decided to only sell the stretched model on our shores. 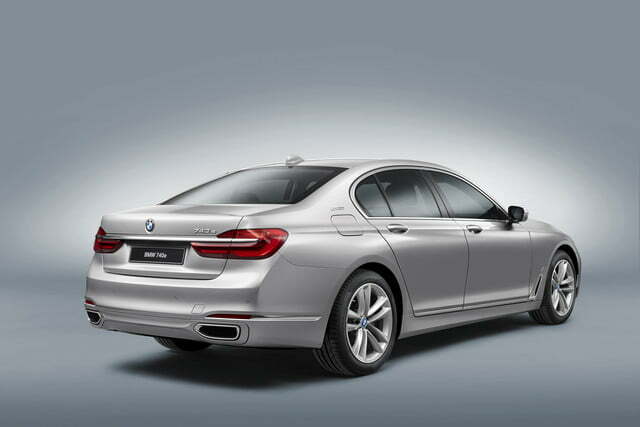 Moving forward, every plug-in hybrid model in BMW’s lineup will join the iPerformance sub-brand. 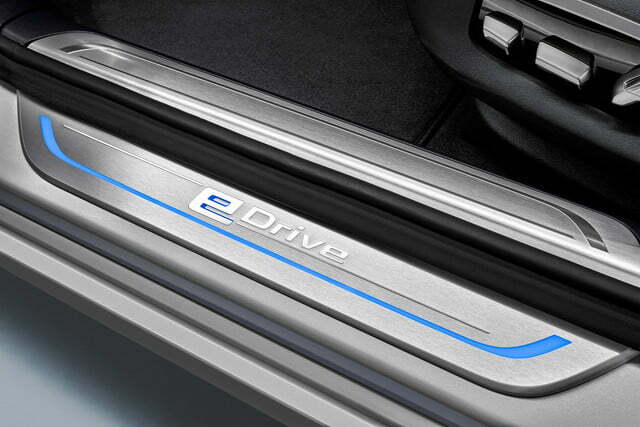 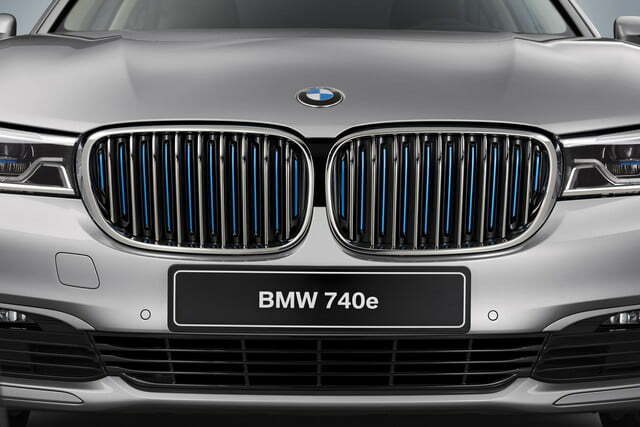 Like the 740e, all models will receive a BMW i logo on the front fenders, blue accents on the grille and on the wheels, as well as an eDrive emblem on the C-pillars. The add-ons are discreet — they don’t scream “Hey look, I’m a hybrid!” — but they will set the eco-friendly Bimmers apart from their non-hybrid siblings.